While we have had the opportunity to see many great boxing movies over the years, from Raging Bull to Creed, the vast majority of them are works of fiction so it was very interesting to see the classic underdog story we know so well pulled from real life events. I honestly can't say I had ever heard of Vinny Pazienza before this movie so it was very interesting to watch his story unfold under the careful guidance of director Ben Younger. He keeps things moving along nicely with a good mix of intense boxing action, character development, and hard hitting drama. My only negative thoughts about how the story was laid out is that it took a long time to get to the accident and rehab which we all knew was coming, but I suppose it was all necessary to help us get to know who Vinny was before the tragic incident. 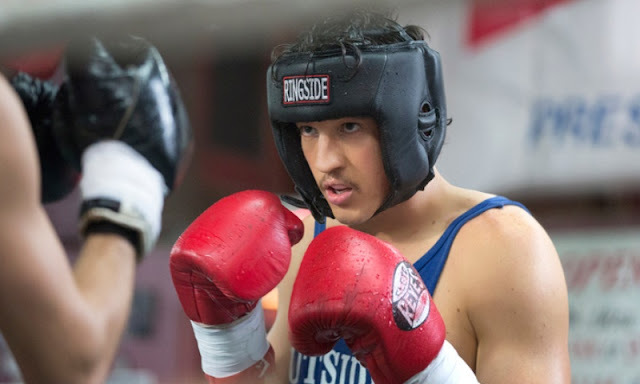 One thing that really helped this movie to be as entertaining as it is was the casting of Miles Teller in the lead role as he continues to prove why he is one of the best young actors working today. 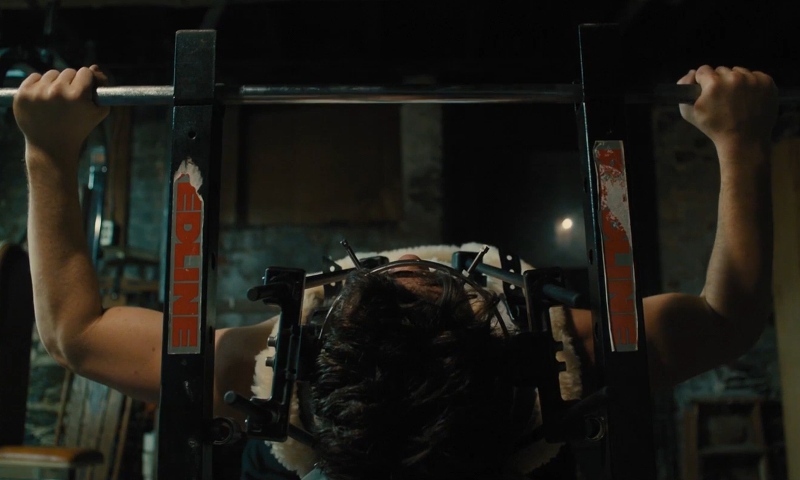 After last year's breakout performance in Whiplash (we're not going to talk about Fantastic Four), I feel like he was primed and ready to take on some even heavier headliner type roles and this one seemed to fit the bill perfectly. From what I understand, he put in a ton of work not only to get into peak physical shape for this picture but also in getting everything about who Vinny Paziaenza was as a boxer and as a person. Aaron Eckhart is also very good as Vinny's alcoholic and seemingly washed up trainer mainly because he manages to make the man extremely likable even with so many faults. 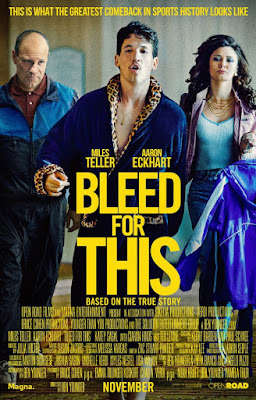 In a world filled with so many boxing movies, Bleed for This manages to go the distance and comes away with a decisive victory even if it falls just short of delivering a knockout punch. 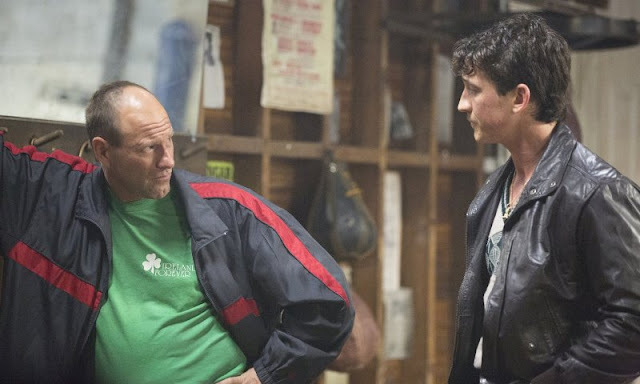 Both Miles Teller and Aaron Eckhart are worthy contenders who give championship caliber performances in a movie that will have you rooting for a Rhode Island boxer who took on the biggest fight of his life just to get back in the ring.